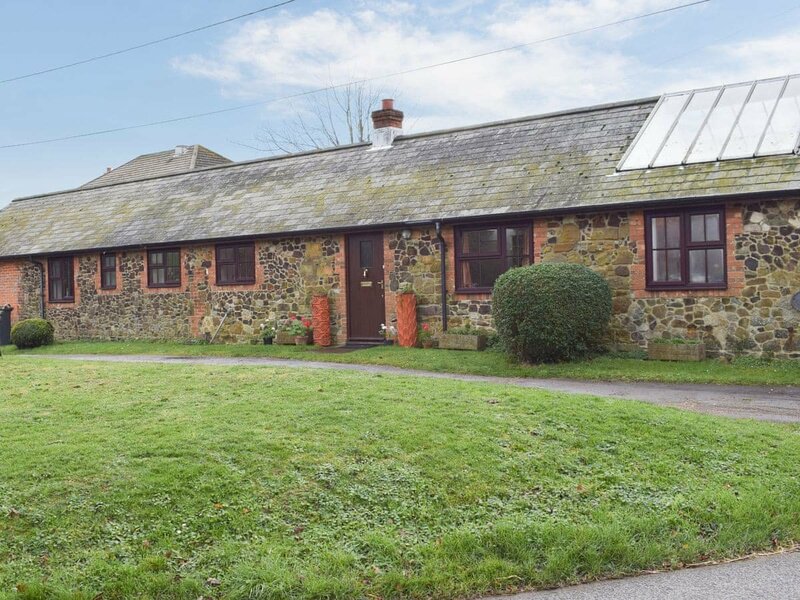 This quaint holiday home, as its name suggests, was the former blacksmiths shop which resides beside the village green. The green is a lovely place to sit, relax, take a breath and admire the beautiful surroundings of the unspoilt village of Shorwell (pronounced ’shorrel’ by many resident islander’s), which was named after the local spring - The Shor Well. This was one of Queen Victoria’s favourite places to visit when she was on the island holidaying at her residence Osborne House. The village is centred around its historic church, St Peters, which dates back to the 12th century. The surrounding parish is also home to a trio of impressive manor houses - Northcourt, Westcourt and Wolverton Manor. Today, the village stands in a designated Area of Outstanding Natural Beauty and is at the centre of a network of footpaths, bridleways and cycle routes to explore and enjoy. The routes are scattered with lovely thatched cottages, and the village also has an 18th-century country pub and a small local shop and post office. There are plenty of activities to keep you busy on the island, including walking, cycling and swimming at any of the glorious beaches are plentiful. You can even try your hand at paragliding if you are feeling adventurous! There are numerous attractions to discover for all ages, including The Needles with its amusement park, boat rides, lighthouse and famous chairlift down to the coloured sands of Alum Bay. Blackgang Chine, the oldest themed attraction in the UK, Ventnor Botanical Gardens, Tapnell Farm Park and Carisbrooke Castle are all worth a visit. Alternatively, why not visit Queen Victoria’s favourite holiday residence, Osborne House and its gardens, or the sailing towns of Yarmouth and Cowes? Shop and pub ¼ mile.Ground floor: Living/dining room. Kitchen. Garden room. 3 bedrooms: 1 double with en-suite toilet, 1 single, 10 steep steps to twin bedroom with sloping ceiling (no door). Bathroom with shower over bath and toilet.Open fire in living room (initial fuel inc). NSH, elec, bed linen, towels and Wi-Fi inc. DVD and small library. Stereo/CD. Elec cooker. M/wave. Washer/dryer. D/washer. Tel-incoming and local calls only. Small enclosed garden and gazebo. Parking (2 cars). No smoking. Be the first one to tell us about your rental experience while staying at The Blacksmith Shop. Let us know if the listing matched your expectations. You can share your comments about the location, property owner/manager and all the unique features that made your stay a memorable one.